This book presents a study on the actuality and the empirical value of the Freudian dream theory through the analysis of a specific part of it: children's dreams. It sets out to demonstrate that the Freudian dream theory shows systematic properties that allow it empirical control. 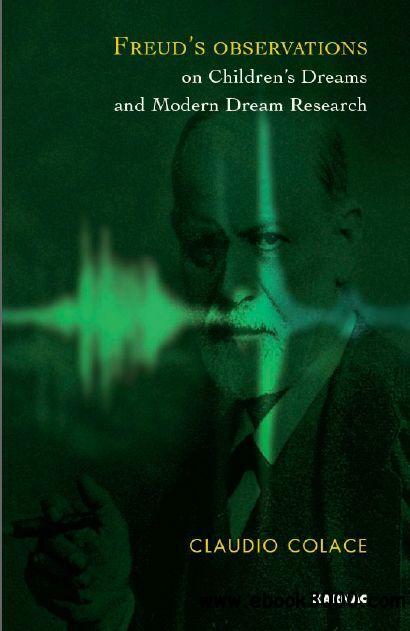 The book also describes the results of four systematic studies that the author has conducted in the space of a decade and present a first empirical judgement on the main hypotheses formulated by Freud. The results of the studies being consistent with Ferud's observations. In the first part a systematic description of Freud's observations on child dreams is given, and the issue of the supposed empirical uncontrollability of the Freudian model is analyzed and rejected. The second part studies the relationship between dream bizarreness and the development of the superego functions with results consistent with Freud's observations. Despite the results of the first study, both studies on childrens' dreams presented in this book show that Freud's hypotheses can be submitted to a systematic test and that this control is relevant for the purposes of an empirical judgement on certain more general theses of the Freudian dream model. The work suggests that the psychoanalytic model of dreams gives way to predictions that have a statistical significance and show a good scientific and heuristic value. The result of these studies have implications for many areas of dream research, particularly the issue of dream bizarreness, the motivational bases of dreams and their individual significance.